Proper drainage is crucial to keeping a septic system working properly in Lakeland, Winter Haven, Auburndale, Bartow, Mulberry, and Polk City, FL. Lakeland Drainage – Owning a septic system can mean the freedom to build your home in an area that is inaccessible to city sewer systems. While septic systems do require occasional maintenance to run smoothly, a key factor of septic system integrity is drainage. Proper drainage is crucial to keeping a septic system working properly, and no one can help you with drainage issues in Lakeland, Florida like Southeastern Septic LLC ! 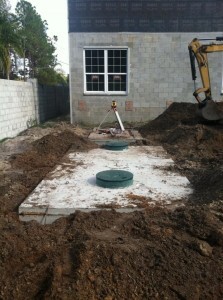 At Southeastern Septic LLC, we have a thorough knowledge and understanding of dealing with drainage and septic systems in Lakeland, Winter Haven, Auburndale, Bartow, Mulberry, and Polk City. After all, we have been helping our customers with their residential and commercial septic needs for over ten years now! We recognize that without proper drainage, the delicate balance of your septic system can cause flooding, backups, and unpleasant odors. Let us help you inspect and maintain your drainage in order to prevent these foul, and often costly, repairs! The size and shape of your property plays a significant role in how your drainage system must be designed. It’s important that the slope is appropriate for your septic drain field and water run-off, so you don’t have unexpected flooding or unmanageable pooling of water. If you are building on your property new, this will be an important consideration for the way your new home or business is laid out. Additionally, the type of soil on your property plays a role in your drainage. Soil that is too weak to handle wastewater filtration may require some unique solutions in order to make your septic design work its best. Household usage is another key factor when it comes to your septic drainage. If your septic system is too small to handle the amount of water that your home or business flushes each day, it can easily become overwhelmed and/or sustain damage. It’s important that your drainage system is equipped to handle your daily water usage, so you have an efficient and long-lasting septic system. Equipping your property with an aerobic septic system means choosing the materials and components that will work well for you over time. At Southeastern Septic LLC, we’ll always make expert recommendations and suggestions, so your drainage and other septic components work well. Our customers are our top priority. We pride ourselves on our ability to make and keep our customers happy. You can count on us to complete our work quickly and effectively, so you can get back to your daily routine! We know that not all septic systems are the same, so we retain certifications and training that qualify us to install and maintain the latest in septic system technology. 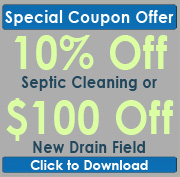 If you have any drainage problems or concerns, don’t hesitate to call our experts at Southeastern Septic LLC. We can help you get your system up and running again in no time! If you are in need of drainage services in Lakeland, Auburndale, Bartow, Zephyrhills, Mulberry, Polk City, Winter Haven, Plant City, or Polk County, give Southeastern Septic LLC a call today!